This is a brand new slots game developed by the Lightning Box. It is based on the theme of the dusty Australian beaches and is going to be loved by the slot players for its fast rewarding actions. Moreover, while playing, the players can win a whopping amount of up to 1800× of their stake during a base game, and 33,210× during the free spins feature. Redroo slots have an RTP of 95.03%. 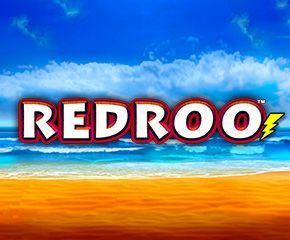 Take an Australian Desert Trip with Redroo Slots! Redroo slots is built with 5 reels, 4 rows and whopping 1024 ways on each spin, and the silver reels sport a treeless background below a purple sunset. The players can play this slots with a maximum of £400, and a minimum amount of £40p per spin. The lower value symbols of the slot are occupied by 9, 10, J, A, Q, and K whereas, the high-value symbols are – a Dog Along With The Stick, a Redroo, a Pair Of The Pink Cockatoos, a Chap Along With A Surfboard and a Girl In The Bikini. The big rock at the outback of the reels is the wild symbol. This symbol will replace all the other symbols, except for the scatter icon. Moreover, if this symbol forms part of the winning combo, then the players can expect to earn some huge payouts. Also, a map of Australia is the scatter icon. Moreover, this round can be re-activated by the landing of more scatters, for which they will be awarded more free spins. 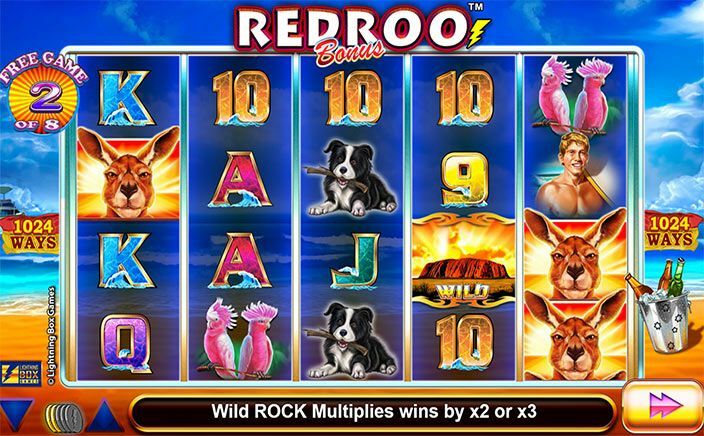 Redroo slots is one of the finest game developed by the Lightning Box. This slot game has an amazing animation, which with an electrifying soundtrack has done a proper fair play to the theme. Moreover, it has an exciting bonus feature which makes the gameplay even more exciting for the slot players. It is a medium to high volatility slot.